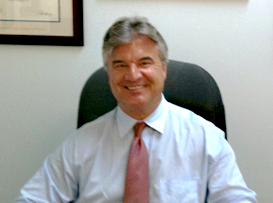 Providing Excellent Legal Counsel to Asbestos Affected Clients All Over Massachusetts. NO FEE UNTIL WE GET YOU MONEY ON YOUR MASSACHUSETTS ASBESTOS PERSONAL INJURY CLAIM! If You or a Loved One Is Suffering From an Asbestos Related Cancer or Another Asbestos Illness Such As Mesothelioma or Asbestosis, Call Our Massachusetts Mesothelioma Injury Attorney Experts Today at 617-787-3700 or Email Our Boston, MA Asbestos Injury Lawyer Specialists at info@gilhoylaw.com. Asbestos is a naturally occurring, yet sometimes deadly, mineral. 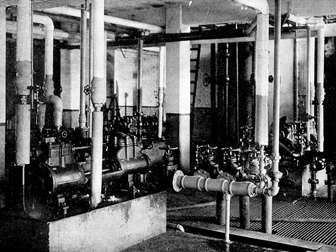 Asbestos is used in an assortment of products due to its unique physical properties, which make it resistant to heat, fire and many caustic chemicals. Because of its durability, asbestos has been used extensively for fireproofing, insulation, decorative purposes and many other uses. During its use, asbestos particles break down into miniscule fibers, which tend to remain in the air for long periods of time. When inhaled, these microscopic fibers penetrate tissues in the human body and can remain in the body for many years. These physical properties of asbestos pose a great danger to human life. Asbestos exposure is a known cause of asbestosis, mesothelioma and other forms of cancer. Asbestos exposure is the primary cause of asbestosis, a chronic lung disease, which weakens the ability to breathe, and even worse, can be fatal. Mesothelioma, an incurable cancer of the chest and abdominal membranes, almost never occurs without exposure to asbestos . Many other cancers can result from the inhalation of asbestos fibers, lung cancer being the most frequent. Asbestos related diseases have a lengthy latency period, which means that symptoms do not manifest themselves until between approximately 10 to 50 years after the initial exposure. Multiple, prolonged or consistent exposure increases the chances of developing an asbestos related disease. Despite knowing its dangers, asbestos has not been banned in the United States. The use of asbestos in products, however, is regulated by both state and federal agencies. Over 400 different institutions in the Commonwealth of Massachusetts currently use or have used asbestos containing materials. Massachusetts has struggled with asbestos related diseases for many years; the Environmental Working Group’s reports show that there were approximately 1,000 mesothelioma cases in Massachusetts from 1979 to 2001. Currently, Massachusetts is ranked 9th in the United States for mesothelioma cases, with a mortality rate of 16.39 per million. In 2006, for every 100,000 deaths in Massachusetts, 64.5 were due to lung and bronchus cases, common cancers that occur as a result of exposure to materials containing asbestos fibers. Our Massachusetts Asbestos Injury Lawyer Specialists Are Available 24/7. 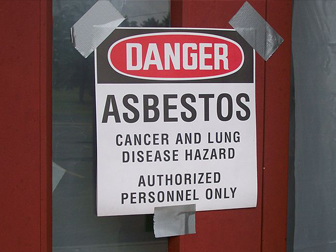 Call Our Boston, MA Asbestos Attorney Experts Today at 617-787-3700. It is difficult for a layperson to determine whether you or your loved one has a meritorious personal injury claim arising out of asbestos exposure. It is, therefore, critical that you or your loved one consult with our highly skilled and knowledgeable team of Boston asbestos personal injury attorneys about your asbestos injury case. Please do not hesitate to call us today at (617) 787-3700 or email us at info@gilhoylaw.com. If you obtain the assistance of one of our Boston, MA personal injury asbestos lawyers, it is possible that your case will settle without you ever having to go to court. In order to recover the highest amount of money damages for you, our Boston, MA personal injury asbestos lawyers must show that the other party is responsible for your injuries. The other party may have acted intentionally or negligently in causing your injuries and our Boston lawyers are experts at establishing this. In order to demonstrate that the other party who may be responsible for your asbestos injuries acted negligently, our Boston asbestos lawyers must first show that the party owed a duty to you or your loved one. There must be a clear showing that the other party breached their duty, and in doing so, caused you or your loved one to sustain an asbestos-related injury. For example, a Massachusetts product manufacturer has a duty to exercise reasonable care while manufacturing a product. In the event that the Massachusetts manufacturer fails to exercise reasonable care and creates an unreasonably dangerous product, the product manufacturer will have acted negligently and may be found responsible for your damages. Victims of asbestos related injuries are entitled to monetary compensation for their injuries. If you or someone you know has suffered from any asbestos related illness or wrongful death, you need an experienced team of Boston, Massachusetts asbestos personal injury lawyers or Boston, Massachusetts wrongful death lawyers working tirelessly on your behalf to obtain fair and just compensation for you. The Boston mesothelioma attorneys at the Law Offices of Gilbert R. Hoy, Jr. and Affiliates are available 24 hours a day, 7 days a week, to assist you with your asbestos injury case. We know how important this is for you. Please call our Massachusetts asbestos injury lawyers today at 617-787-3700 or send us an email at info@gilhoylaw.com for a free, no obligation consultation. 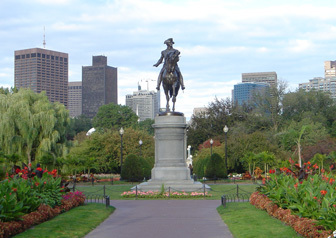 The Boston, MA Law Offices of Gilbert R. Hoy, Jr. and Affiliates is a team of Boston, MA lawyers from some of the best law offices in Massachusetts, including expert Massachusetts asbestos personal injury lawyers, who have been personally selected by Attorney Hoy because of their skill, experience and expertise. Many of the Boston, MA asbestos injury lawyers who are available to our Massachusetts clients through referral agreements have been repeatedly selected and recognized as among the very best asbestos injury lawyers in Massachusetts and, indeed, the country. Our Massachusetts Asbestos Injury Lawyer Professionals Are Here to Help You. 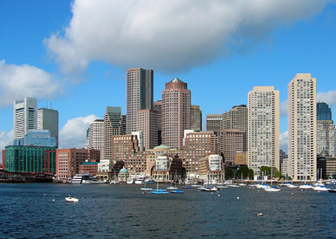 Call Our Boston, MA Asbestos Attorney Advocates 24/7 at 617-787-3700. Your Needs Are Our Top Priority! Have Obtained Millions of Dollars For Our Injured Clients. Let Our Boston, Massachusetts Asbestos Injury Lawyers Put Our Expertise And Skills To Work For You. 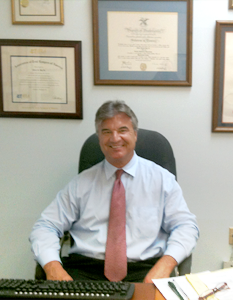 Our Massachusetts Mesothelioma Lawyer Specialists Are Available 24 Hours Per Day, 7 Days Per Week.